Dr Stefan Ionescu Calinesti has successful created beneficial creams by using natural mud extracts that have therapeutically properties. These revulsive creams have multiple uses that create healthy skin for a rejuvenating result. 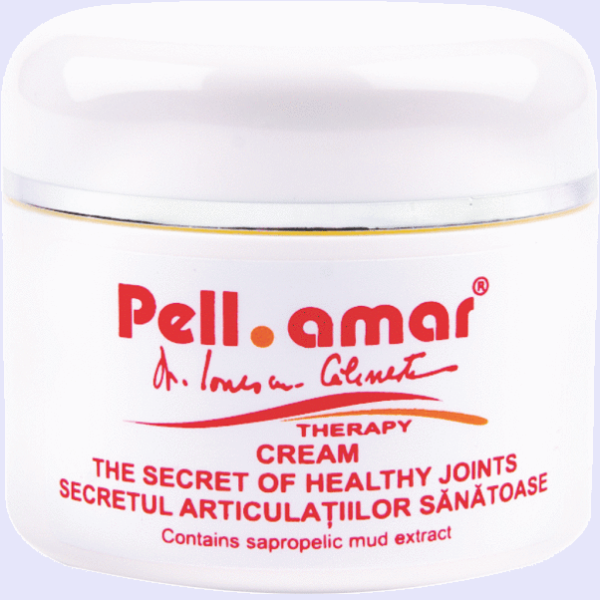 PELL AMAR EXTRACT – natural source of energy for skin – this source helps to heal and restore the body. It has a structure that provides vital and therapeutically properties such as anti-inflammatory, analgesic, sedative, peripheral vaso-expansive, recuperative, anti –constrictive and bio stimulating. aches as a result of traumas, accidents (fractures, sprains, cricks), orthopedic surgeries. THE EXTRACT OF SALLOW BARK – contains wax, mineral salts, tannin, flavonic compounds, salicylates – it has decongestive, astringent effects. Massage into sore areas gently. This product can be used alongside other physiotherapy procedures as long as the doctor prescribed it. This product has been dermatologically test and has demonstrated a perfect tolerance for this product. AQUA, GLYCERYL STEARATE PEG 100-STEARATE, PARAFFIN OIL, CETEARYL ALCOHOL, GLYCEROL, STEARIC ACID, MINERAL SALTS AND AMINO ACIDS FROM PELLOID MUD EXTRACT (PELL AMAR), SALIX ALBA EXTRACT / PROPYLENE GLYCOL, CAMPHOR, UREA, EDTA, ETHYLHEXYLGLYCERINE / PHENOXYETHANOL. If you have problems with joints, this cream is ideal for pain. My parents use it and are extremely pleased with it. It’s a very good product! I tested it and recommended it with utmost confidence.